Adriano and I were watching a cooking competition called My Kitchen Rules on the television and one of the contestants cooked a Greek moussaka dish, which the judges weren’t very happy with. I said that I could make a better one than that and Adriano said he wanted it the next night. So I had to back up my words with action, and the next evening saw me making a moussaka. An hour and a half later, this was the beauty that emerged. Why does everything always take so much longer than expected? Anyway, the judge (my husband) couldn’t complain about this moussaka and I didn’t have to eat my words, as well as the dish. I couldn’t help myself but had to add my own touch in the form of spices, which were not very Greek, but sure lifted the dish above average. Cook the cumin, turmeric, chopped chillies and spring onions in the two oils for 2 minutes. Then add the tomatoes, tomato paste, coriander and stock. Melt the butter in a saucepan, add the flour and cook until it comes together like a dough. Add the milk a little at a time, mixing to blend in between additions. Add the egg and cheese and stir to melt. Take off the heat. Slice the eggplants into thin rounds and place on a cooking tray. Place under a grill until browned. Place a layer of eggplant on the bottom of the dish. Layer on half of the meat sauce. Place another layer of eggplant slices. Cover with the last of the eggplant slices. Sprinkle the Parmesan on top. Cook in a pre-heated 180°C/350°F oven for 20 minutes until reheated through and the top is lightly browned. Turmeric and chilies? I’m in! This does look good. And isn’t it weird how long things can take? Anyway, this looks great — thanks. When I watch chefs on TV and see their cutting skills, it goes some way to explaining why they are so much faster. But then, it is their profession and not ours. We just have to allow double what we expect a recipe will take to make. This sure looks good and think hamburger meat would work just as well as lamb? I’m confused thou, I thought tomato paste was a no-no on a low fodmap diet? Tomatoes are low Fodmap. You have to watch out for the paste because of the concentration. This recipe has 2 tbsp between 6 people so you are getting 1/3 tbsp which wouldn’t be enough to be a problem. But we all have different levels of tolerance to the various groups so you have to see through the elimination and reintroduction diets what is right for you. I am glad someone else had the same experience. I also thought it looked simple. Who can’t make a white sauce and meat sauce? Easy yes, but not quick. I see an egg in the ingredient list for the cheese sauce but it is not mentioned in the instructions for making the cheese sauce. When do you add the egg? You are quite right. I have added that in now. Thanks for letting me know. I made your lamb moussaka last night and it was divine! My husband loved it too. 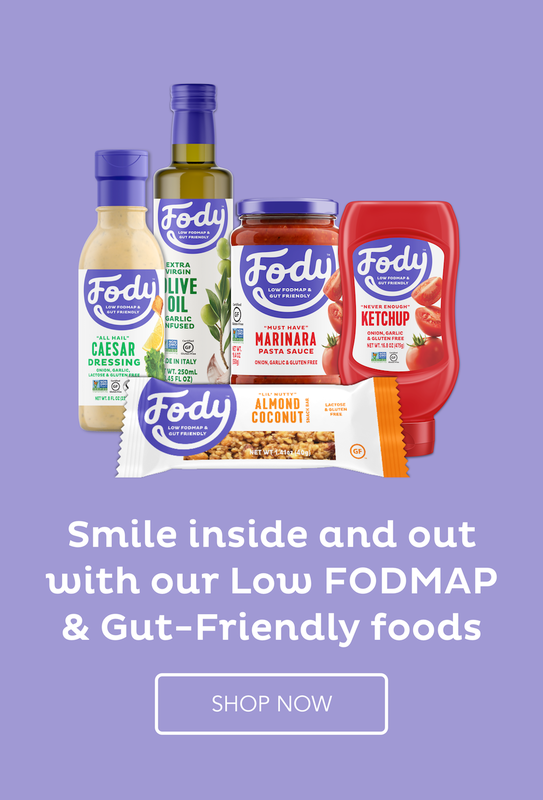 Loving your recipes, thanks, I’m new to low fodmap living so it’s helpful to have new ideas. Thanks for letting me know, Kelly. I am glad you enjoy my recipes.